Our commercial cattle have really become a source of pride at Redline. They are low maintenance, and hard working. 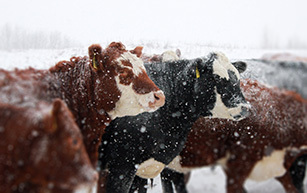 With the Hereford genetics the cows are built with a hardy resistance to most all harsh winter conditions, and graze unsheltered even on the coldest days. Built to withstand, their hair coats are dense and shaggy, with plenty to spare. 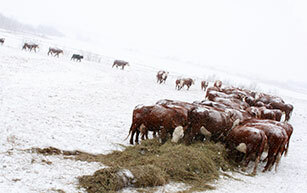 Their feed efficiency is superior to that of the purebred herd, and their fleshing ability seems to excel during the cold months of the year. 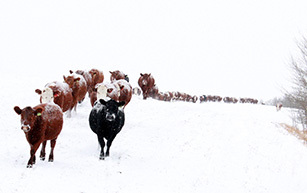 Calving out the commercial herd is a low stress period, with few problems. In the following months before being turned out onto pasture, we brand all of the commercial calves, and give them their summer vaccinations. 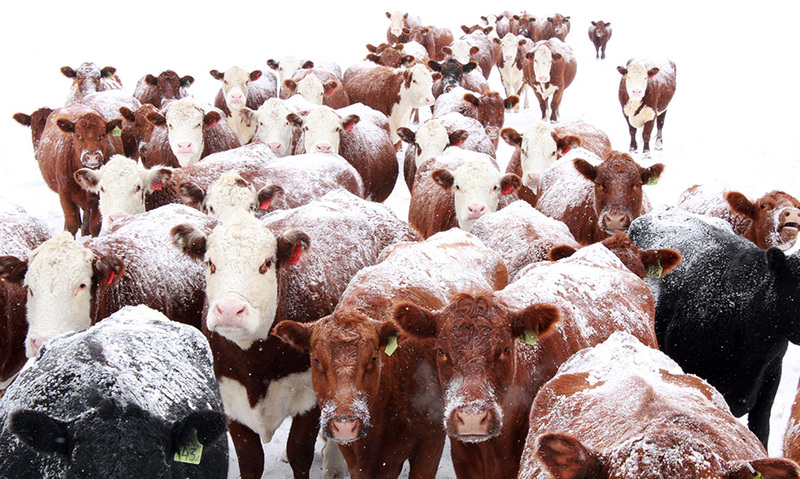 The commercial herd is run primarily on horseback, and the cattle are quiet and docile.